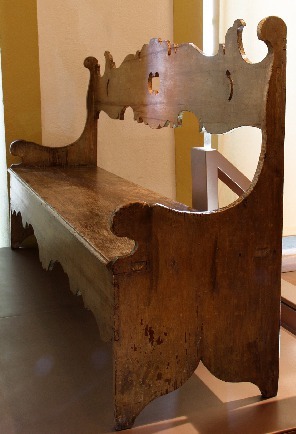 Benches were a common type of seat in homes in Portugal and Brazil. This is a rather decorative example that was likely originally painted. Chairs with backs, like those we use today, were fairly rare in homes in eighteenth-century Minas Gerais. 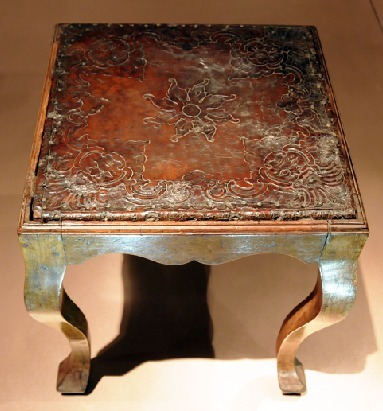 They were traditionally associated with privilege and status, like a throne. 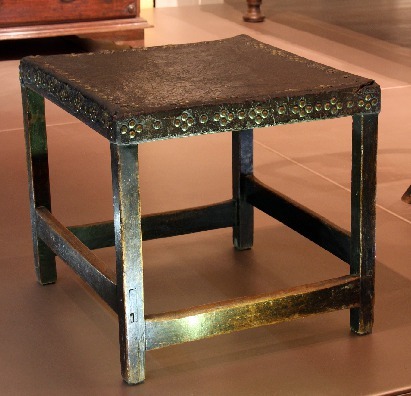 The tamborete is a type of stool that was very common in households in Minas Gerais. These examples feature elaborately decorated leather seats.